Why write about place or include setting in a piece of creative nonfiction writing? There are several reasons: Setting or place creates a backdrop for your true story. It can also create a mood or atmosphere for the story. Sometimes, place can be an antagonist for the story. It provides context—-telling the reader where the story takes place. As well, one of the most important techniques for creative writing is to write in scenes. A scene in creative nonfiction is like a scene from a film. The scene includes vivid descriptions, dialogue, action, and a setting. The setting identifies the place where the scene and true story takes place. Place is also part of our genetic code. Most people seek the comfort and familiarity of a safe place. 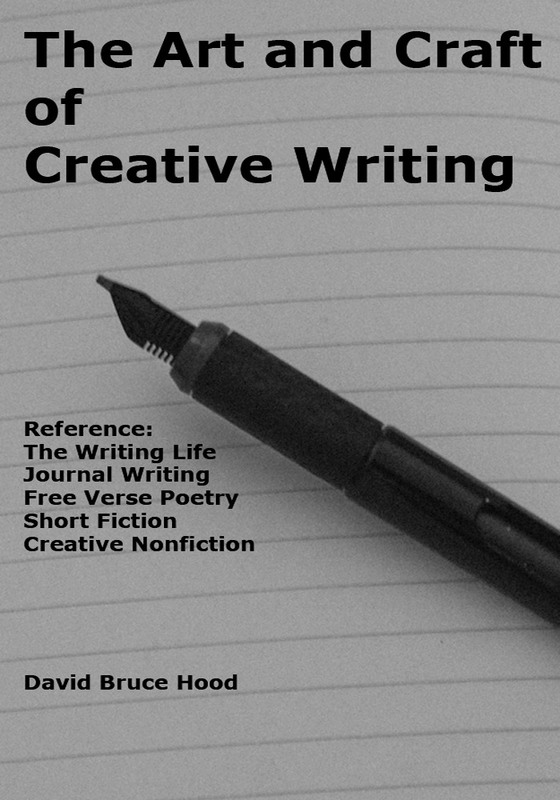 And yet, according to Brenda Miller and Susanne Paola, who are the authors of the marvelous text ‘ Tell It Slant: Creating, Refining, and Publishing Creative Nonfiction’, those who write writer creative nonfiction often overlook writing about the place where the story takes place. In this article, I’ll explain what types of places you can write about and how to write about them. What does the place represent? What is the symbolism of the place? What are the physical characteristics of the place? What does it look like? Describe the place? What memories are evoked by a particular place? How do you feel about the place? Do you like it? Why or why not? You can begin by look around you. Describe the interior and exterior of the place that is your home, your neighborhood, your town, or city. In other words, write about the physical attributes or characteristics of the place. What are the associations? For instance, the house where I am smells disgusting like an ash tray filled with cigarettes…Or I live in a house that’s like a prison where my spouse gives orders as if she’s the warden. My elderly mother sits in her chair sadly reminiscing about the past like a person grieving the death of a loved one. When writing about place, you must show the reader. What does this mean? Showing the reader requires you to write vivid descriptions, use sensory imagery, deploy memorable similes and metaphors to describe a particular place. It is not about telling the reader about the place, which is nothing more than a summary of the facts as you see them. So, you show readers a place by including concrete and specific details. You can also include vivid descriptions that are of significance . You don’t have to include all the details or descriptions–only those that have significance to yourself and your readers. To write descriptions of place, you can also use sensory imagery, language that appeal to the sense of smell, taste, sight, touch, and hearing. Writing with similes and metaphor will also create an entertaining description of place. For instance, the house looked like the city dump…. the shadows of the skyscrapers …. What places can you write about? There are several. Write about Home, the place called home. What is home to you? What are your memories of home? Life as a child growing up. Your life now. What did you celebrate? What holidays you took? What milestones or turning points were experienced in a particular place? Describe the physical characteristics, the mental associations, significance, meaning, and your feelings about place. Write about city life. What do you like about living in the city? What do you dislike? Describe using simile, metaphor, vivid descriptions. Write about rural life, such as a small town. What do you like about living in a small town? What do you dislike? Describe using simile, metaphor, vivid descriptions. Include the significant physical attributes of the place. Write about nature, such as the wild life, woods, rivers, mountains, birds, animals,fish, insects, other mammals of the habitat. Describe the physical characteristics, the mental associations, significance, meaning, and your feelings about place. Observe nature, react to it, write about it. Does it transform you in any way? Write using personification to make the nonhuman personal, recognizable, understandable. Write about the place where you work. Describe its physical characteristics. Describe it in terms of sensory imagery, simile, metaphor, and particular and significant details. What are your feelings about the workplace? What do you like or dislike about your workplace? What does it represent? A paycheque, your purpose in life, your meaning to live. Or is the place of work just a means to an end, the end being leisure time or the time to follow your bliss. Write about the environment, which is a popular topic–air and water pollution, global warming, overpopulation, desertification, destruction of the natural habitat. How does the environment in which you live impact your mind, body, soul? Write about the issues or topics making news. Write about green peace . Write about the role of an environmentalist. Write about the how the government protects a particular place, such as the forest, sea, historic place. Write about how industrialization continues to erode place. You are a human being, living in a particular place within the larger global village. Look out to the world, beyond the world in which you live. What do you see, hear, smell, taste about the world? What is making news in the world related to place? Write about it. What are the topics on the minds of the collective consciousness related to place? Write about them. How has the place called the global village been changed or transformed? Write about technology and its impact on place–the smart phone, Internet, tablet, and so forth. You can also write about place in terms of its culture, language, cuisine, people, customs and traditions, religion, superstitions, norms, rituals, taboos, moral values, and the history of place. To conclude, there are many places to write about. When you write about place, show the reader with vivid descriptions, physical details, imagery, simile, metaphors. Also include your own perspective of place–your thoughts feelings, likes and dislikes. Always ask important questions about a particular place: What is the meaning of place? What is the significance? What does the place represent to you? Share your answers with the reader. And remember: we all seek places of meaning, comfort, familiarity. But many of us are also curious–and want to explore the world beyond. What is the Purpose of Writing a Travel Article? Your main purpose is to share your travel experiences. But this is not the only purpose. Your purpose is also to write a travel article that entertains and informs your readers. As well, you want to be able to transport the reader to the destination you have visited. Your purpose might also be to convince your readers to take a trip to the destination you are writing about. Your purpose will, in part, depend on the type of travel article you are writing. What Makes for a Good Travel Article? It has a theme or main idea. Perhaps you are writing about a golf trip, kayaking trip, or bike trip. Your article needs a theme. A good travel article has a lead and ending. The lead captures the attention of the reader and encourages him/her to read your article. The ending makes a main point. It leaves the reader with one final quote, fact, impression to think about. Include impressions, experiences, and commentary that support the theme of your article. A good travel article tells a story about the trip. he story needs to relate to the travel theme. It needs to be interesting. A good travel article includes factual information about the history, culture, geography, cuisine, language, and so forth. But these facts must relate to the story and theme of your travel article. These facts also need to be original. Omit information that is widely known. Use the technique of scene-building. A good scene includes vivid descriptions of the place. It includes dialogue. It also includes action. You can reveal action through the use of anecdotes or storytelling. Use sensory language. Describe the smells, tastes, sounds, and sights. Use a light tone. One way to do this is by using humour. You might include irony or humorous experience. Show, don’t tell your reader what happened or what you experienced. You can show your reader by using dialogue, vivid descriptions of the setting, and by describing the action of the experience. For good examples of how good travel stories are written, visit www.worldhum.com or www.traveler.nationalgeographic.com . Create a visual postcard of the place. Show the reader what happened, don’t tell them. Use sensory language and vivid descriptions. While you are doing this, narrate your story, mix commentary, provide facts and impressions. Your details will tell your readers what the place looks like, the culture and language, how people live, and the mood of the place. The elements you include in your story will depend on the type of travel article you are writing. The facts you include should relate to your story and support it. Don’t write using the first person “I.” You aren’t writing a first-person travelogue, which is a chronological report of what you did on the trip. You are writing a travel story using an authoritative voice. You are telling the story as a narrator, describing your experiences and providing your impressions. Therefore, you will write using the second-person “you” or the third-person “he/she.” Narrate your story as if you are talking to a friend. While narrating the story, you can use the devices of concrete and specific language, imagery, vivid details, similes and metaphors. You can use sentence variety, action verbs, and the active voice. You can use the fiction technique of “showing, not telling” the reader what happened on the trip. The tone of your article refers to the attitude you have about the people, destination, and your readers. You need to be respectful of the people you write about. You also need to write honestly about the destination. If you had a bad experience that would be important and relevant to your readers, you might want to write about it. Share what you liked or enjoyed and what you disliked. What-the writer uses storytelling, anecdotes, facts, quotations to write the travel article. Read these reference books and master the rules and guidelines. Then incorporate them into your writing. Take a course on travel writing. Read travel books and magazines and articles on travel writing, and then analyze how they are written. Write a lot. You will only become a good writer if you write each day. Don’t quit your day job. Very few writer’s support themselves on the earnings from their travel writing. Learn to write well. You won’t get published unless you know how to write. So, master the rules and guidelines of The Elements of Style by Strunk and White, The Chicago Manual of Style, and On Writing Well. Research your trip. Before you take the trip, learn about the history, culture, customs, language, religion, and so forth of the destination. Travel a lot. The best way to write about a destination is to immerse yourself in the culture and way of life. To do this, you need to visit the destination you are writing about. Research travel writing on the Web. A good place to start is www.worldhum.com . People read travel articles for many reasons. Some want to get ideas on where to travel. Others want to learn about the world. Many want to be entertained. Whatever the reason, the reader wants useful facts about the destination. A good travel article includes the writer’s impressions and observations and interesting facts culled from up-to-date research resources, such as the Web or travel guidebook. In this article, I will discuss how to find facts for your article, how to complete fact checking, and how to add factual details to your travel article. As well, I will provide a list of travel writing resources that you can use to find more information on travel writing. Before you begin writing travel articles, the first thing you need to do is build a travel resource library. You can do this by collecting interesting travel articles, brochures, travel books, travel magazines, or anything else that might be helpful in researching your a trip or writing a travel article that you plan to write. Prior to traveling to the destination spot, you should conduct pre-trip research. You can begin by checking your personal travel library for useful facts. A second place to check is the Web. It has countless Websites on the place you want to visit, each offering information that could be useful. Next, contact the travel office near you to obtain maps, guidebooks, and information about hotels, restaurants, rental cars, and so forth. Read magazines and books on the place you are going to visit, to learn about the geography, history, culture, language, customs, cuisine, traditions, and religion. While you are traveling, you should also collect facts. Start by obtaining guidebooks, maps, newspapers, post cards of the destination. Take photographs of the sites you visit. Bring your laptop to conduct research on the Web from your hotel room. You should also record facts in your writing journal. Include descriptions, dialogue, contact information, and so forth. Include your impressions and observations. Take your travel journal wherever you go. It will become your most important resource. Every business card, email address, phone call is a potential contact for fact checking. The Web can also be a good source for fact checking. Be sure that the content on the travel website is up to date. Visit the library and consult with a librarian about the facts you are going to use in your article. Contact the local travel and tourism government office. In all likelihood, there have been numerous travel articles written about the destination you are visiting. Therefore, one of your goals is to present the facts in a new way. Be sure to check the Web to see what has been written. Another goal is provide new facts about the destination. A third objective is to combine these facts and personal experience into a storytelling experience. Nobody wants to read a travel article riddled with just facts. That is the purpose of the travel guide. Instead tell the writer about an interesting experience you had while travelling, and weave factual information into the story. Or include a couple of problems you encountered while travelling, and weave a few interesting facts into your story. A good travel article includes the writer’s personal experience and a few interesting, relevant facts about the destination. L. Peat O’Neil, Travel Writing: A Guide to Research, Writing Selling, 2nd ed., Writer’s Digest Books, 2005. ISBN 978-1582973814. Don George, Travel Writing, Lonely Planet, 2005. ISBN 978-0864427427. Louise Purwin Sobel and Jacqueline Harmon Butler, The Travel Writer’s Handbook: How to Write—and Sell—Your Own Travel Experiences, 6th ed., Surrey Books, 2006. ISBN 978-1572840843. Cynthia Dial, Teach Yourself Travel Writing, 2nd ed., McGraw-Hill, 2006. ISBN 978-0071478816. Gordon Burgett, Travel Writer’s Guide, 3rd rev. ed., Communication Unlimited, 2002. ISBN 978-0970862112. In the next article, I will explain how to write a travel article.